UNITED NATIONS, September 28. /TASS/. Russian Foreign Minister Sergei Lavrov on Thursday had a meeting with the former US Secretary of State, Henry Kissinger [in office from 1973 through 1977], the Russian mission to the UN tweeted in Facebook. 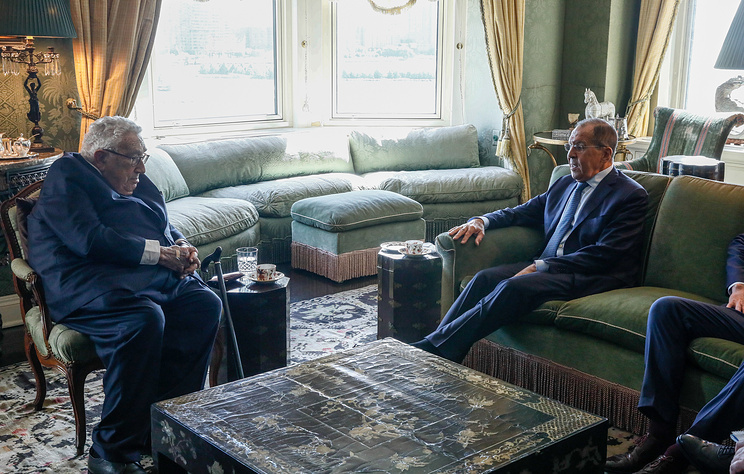 Lavrov and Kissinger met on the sidelines of the 73rd session of the UN General Assembly. The media were not invited. The mission uploaded the pictures from the media on to social networks later. During his time at the post of the Secretary of State and later on as an expert, Kissinger has spoken in favor of pragmatic approaches to foreign policy that would be based on national interests and would not be pegged to ideology. He visited Russia in the summer of 2017 to take part in the Primakov Readings expert forum. During the trip, he had a meeting with President Vladimir Putin.